Why Phoenix? Isn't it 100+ most summer days? Because I think Phoenix is much closer to being ready than Detroit. And they have a logo. USWNT players have lost $1.7M in performance bonuses in the last two years in preparation for 2019 World Cup. When the members of the United States women’s national team negotiated their current collective bargaining agreement with U.S. Soccer in 2017, they secured what seemed to be a significant victory on match bonuses. 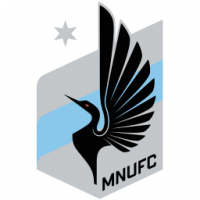 So... MLS scheduled MNUFC to open with five games on the road, mainly because of Minnesota's knack for getting blasted by snowstorms in March, including during the Loons' MLS debut game two seasons ago. If forecasts are accurate, their reward will be having to clear up to three feet of snow from the Allianz Field pitch in the 24-48 hours prior to its grand opening, while St. Paul is digging out from the same, thanks to the mid-April mega-storm heading for the nation's midsection later this week. They can't catch a break when it comes to their big opening events. All the bank stadia in the twin cities confuse me. That said, not sure I’ve seen a gargantuan stadium be a blight on a whole city’s skyline the way that Vikings building is. Good case for the suburban parking-lot stadium. Or just for a less “out there” design. Although it was a loss for FC Cincinnati it was a better looking loss than Philly or Seattle. Hats off to @Rockstar Matt. Hell of a team in LAFC. Onto Salt Lake. Honestly I'm tired of this FloSports already. I can watch any Premier League or Bundesliga game halfway around the globe, but I can't watch a damn soccer team who is 40 miles away. Until MLS gets their stuff straightened out, I'll just keep up with the Reds. Thanks, Orlando City, for not making it 2 for 2 on the night. Forcing people to use online-only platforms to watch local sports is so objectively stupid. I'm sorry for Cincinnati and DC. Just put it on local TV; don't make it hard for people to watch your relatively new, relative niche sport. Seattle and both LA teams seems like the class of the league so far; Galaxy at least while Zlatan is healthy. It really is a shame that Seattle plays LAFC twice in April and then not again the rest of the season. It is on local TV but not everyone has cable or antenna to watch so they watch it online. I had to break down and purchase an antenna just so I could watch the game on TV because FloSports isnt worth it. Here's the epic six-part tifo unfurled before kickoff of the Allianz Field opener, featuring all previous incarnations of pro soccer in Minnesota. The slogan: "A storied past/Flies home at last". The stadium design definitely worked as advertised when it came to amplifying the crowd noise. My seats are about the same distance from the supporters' section as they were last season at TCF Bank Stadium, but they sounded twice as loud. Also, earlier today I watched a replay on the ESPN app and the supporters' chants and songs came through much more loud and clear than in telecasts at most other MLS stadiums of comparable size. It sounded more like a game in Atlanta or Seattle than, say, Kansas City. The game itself was insane: Four goals in an eight-minute span, followed by an own-goal by each side (NYCFC's was an epic howler by the keeper, something the Loons have their own history with), Loon defender Michael Boxall's bloody nose forcing him to change into a "blank" jersey, players from both sides laid out by a clash of heads, and a scuffle in stoppage time. The result (a 3-3 draw) wasn't what I'd hoped for, but it certainly got the Allianz Field era off to a rousing start. Did part of the middle tifo (behind the loon tifo) tear, or was it supposed to be separated in two parts? Was confused seeing that unravel on TV. You'd probably have to ask Mockba about that to be sure, but my guess is that it was either damaged before the event or not fully stitched together in time. Also, about a second after I took that photo, the loon tifo tore away at the top and fell onto the Wonderwall. I expect Kaku will be gone for a while after this tantrum. Santos played Monterey last night and both wore their primary kits. That meant white with blue stripes for Monterrey( home team), blue shorts and socks. Santos wore green shirts with white hoops, green shorts and socks. Close up was fine but when the camera covered the whole field it was difficult to tell which team was which when they were all grouped together. It was worse than orange vs red in basketball. I watched some of that and was annoyed by the lack of contrast, so I turned it off. I can't believe that game was allowed to be played with those uniforms.